Implant dentistry is a complex and rising field of dentistry and presents many intricate problems, which are being tackled by various disciplines of both basic and clinical research. There is a high amount of scientific information gathered so far; however data are rather divergent, sometimes even contradictory. Therefore, there is increasing need for integrating reviews of this highly important field of dentistry. This work presents an integration of several prosthetic-, surgical- and oral biological considerations of implant dentistry on a scientific level, with special respect to the problem of clinical decision-making. 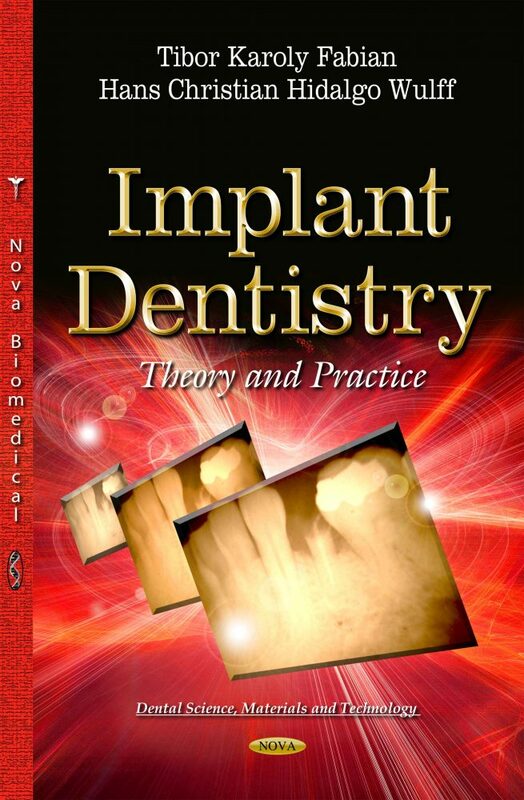 Further, this book also includes some chapters dedicated to rarely reviewed research areas like use of physiotherapy and psychosomatic considerations for implant dentistry, which also supply a great want. Relevant subject areas include: applied anatomy and bone biology for implant dentistry, mechanisms of osseointegration and peri-implant soft tissue healing, biomaterials for implant surgery, medical and dental evaluation of patient, diagnostic imaging for implant dentistry and other diagnostic tools, several prosthodontic and surgical considerations for treatment planning, implant surgery, management of pain, inflammation, peri-implantitis and other complication, immediate and delayed loading of implants, implant maintenance and after care, physiotherapy and psychosomatic considerations for implant dentistry as well as future perspectives of implant dentistry.